Explore 3D buildings, maps, satellite images, roads, places, ocean and weather with Google Earth and get brief information about world arena right from desktop. In simple words, fly anywhere on earth and view anything on it without paying to travel agency. Search any place, Visiting the earth from top looks like you are among galaxies and seeking something unique. Tour to any hotel, restaurant, shopping center, company head office, playground, college, university, hospitals, NGO office or any other destination you can visit. Basically the 3D buildings and other realistic imaginary data was uploaded by different Google account users. Any Google account user can upload unique data on Google Earth but latitude and longitude based data should be mentioned alongwith images. Mark favorite places to view at later time without searching them again. This feature will works after signing into Google account. Fly to any country, city or even town with simple navigation tools. Zoom target points and see details in original images uploaded by users in high quality. Explore Ocean: Google Earth is amazing real world Encarta which shows things outside the water and even inside the water. The ocean view lets you see how animals and other creatures are living and spending their lives inside water. This a unique journey if you didn’t watch National Geographic or Discovery channel, than this experience will give you awesome knowledge. The data was collected with the support of BBC, National Geographic and other TV channels. However, U.S Navy also share lot of data about creatures, their foods, underwater animals and other depth details of ocean. Explore Earth: Its impossible to view anything which is exist on the surface of earth by going there. 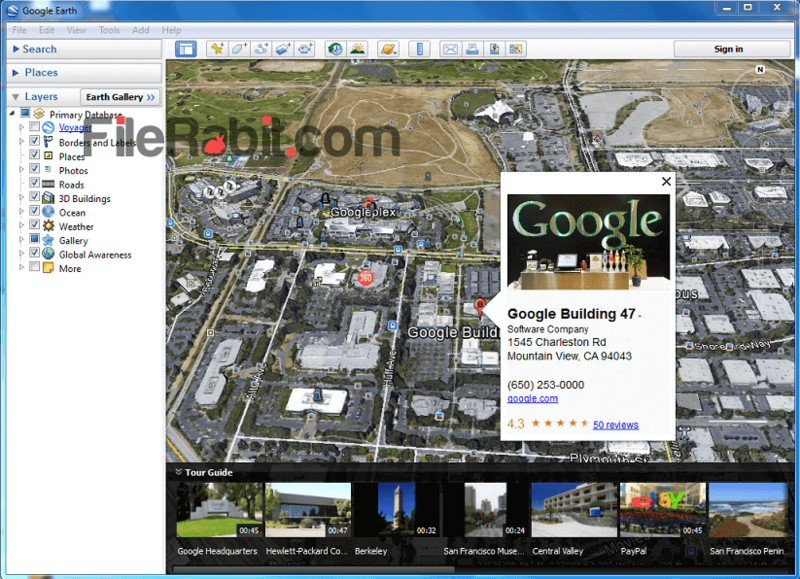 Google Earth is powerful software which brings any destination or location in your pocket. 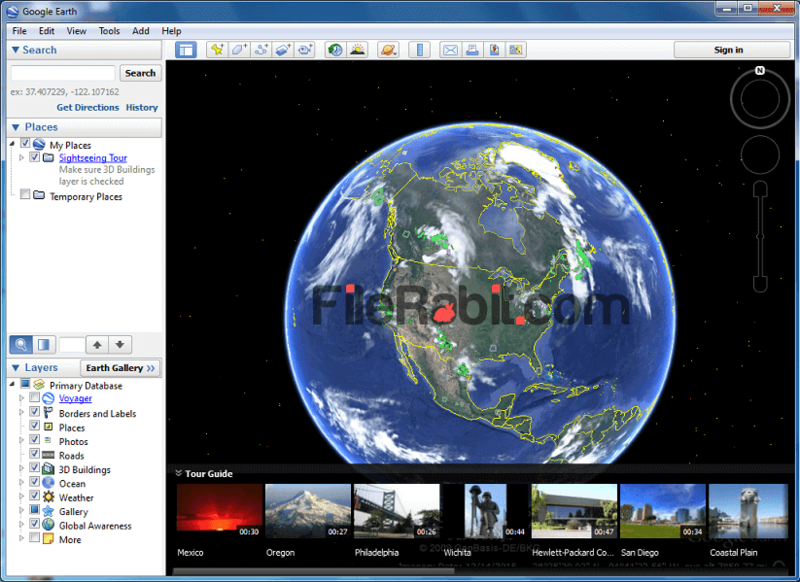 Now it makes possible to view 3D building views, maps, satellite imagery, terrain, weather changes and more functionalities. We can say that it covers the earth, ocean, galaxies, mars and moon data under 50 MB. Classic times, we used Encarta Encyclopedia to gather information about anything but that was concluded in 4 or more DVDs.